SAN FRANCISCO, CA--(Marketwired - July 15, 2016) - Swift Navigation, the San Francisco-based startup building centimeter-accurate GPS technology that will power a world of autonomous vehicles, announced its latest executive hire today, Zaka Ashraf. 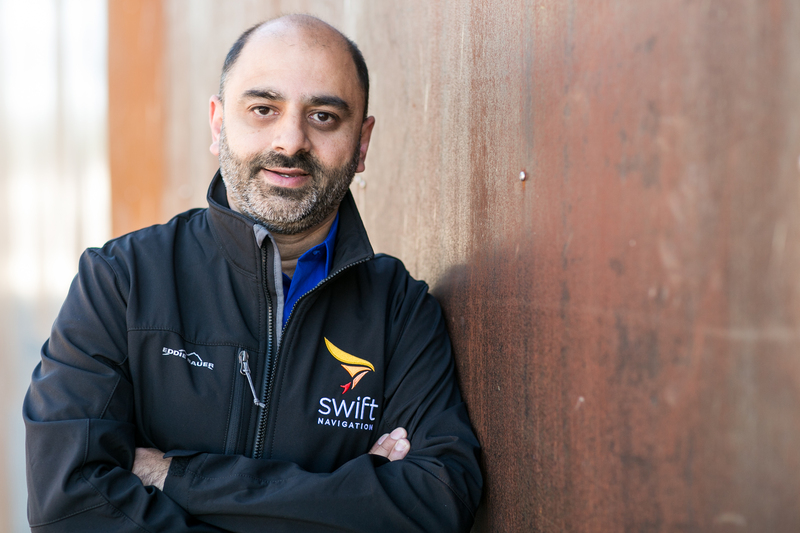 As vice president of engineering, Ashraf will lead Swift Navigation's engineering team as the company continues to develop and launch innovative advances in high-accuracy GPS technology. Ashraf joins an executive team that was recently honored in Inc.'s 2016 30 Under 30 List of Coolest Young Entrepreneurs in America. "It has always been a primary focus of mine to improve lives by providing world-changing experiences through technology," said Ashraf. "I am thrilled to join Swift Navigation as vice president of engineering and am truly inspired to be a part of a company that is committed to empowering a future where centimeter-accurate GPS can help transport people more safely, feed a population of nine billion more securely and take workers out of harm's way." With 18 years of experience in software development, Zaka Ashraf has gained a reputation as an effective leader of world-class engineering teams building cutting-edge devices, applications, services and frameworks. From managing top-tier engineering talent to developing both compelling end user applications and enterprise software, he has successfully led the engineering departments of global corporations nationwide. He previously served as the senior engineering manager of web applications for EMC Corporation; senior engineering manager of mobile platforms for Yahoo! ; and most recently as the software engineering manager of the Kindle Reader application and IoT middleware for Amazon Lab126. Zaka holds a BSc degree in computing science from Staffordshire University. "There is no doubt that our newest executive team member has an extensive engineering background and an impressive skillset that will prove to be an essential asset to the company," said Swift Navigation CEO, Timothy Harris. "We are continually striving to further develop the technology that will power the future of autonomous vehicles. As we advance the technology that drives our products, it is essential that we have a passionate, forward-thinking member leading our engineering department." Ashraf's skills will contribute to the growth of Swift Navigation, which recently raised an $11 million series-A financing round led by Lior Susan and Pierre Lamond of Eclipse. To date, the company has raised a total of $13.6 million in funding.